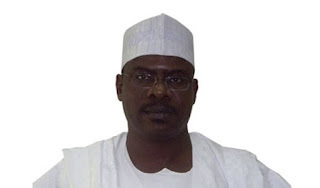 The Senate recently slammed a six-month suspension on Senator Ali Ndume [APC, Borno South] for allegedly raising ‘false alarm’ by asking the Senate to probe social media allegations made against both Senate President Bukola Saraki and Senator Dino Melaye [APC, Kogi West]. Trouble began on Tuesday, March 21 when Senate decided to investigate an allegation that Saraki imported a bullet proof jeep worth $298,000 [N62m at the time] which was seized by Nigeria Customs Service for non payment of duty. The probe was triggered by a point of order raised by former Senate Leader Senator Ali Ndume, who also called for a probe of the alleged certificate scandal involving Senator Dino Melaye. An online news portal had alleged on March 18, that the vehicle’s seizure was the reason why Senate was moving against NCS Comptroller General, retired Col. Hammed Ali. The same medium also alleged that Melaye was parading a fake certificate from the Ahmadu Bello University, Zaria. Ndume had said at plenary, “My colleagues that are following events, particularly online, have seen, heard or read the train of abuses on this Senate and the misconception of the fact that we invited the Customs CG based on a very unpopular policy that affects the people we represent. But now, we are faced with this...” Citing several instances in which the National Assembly probed its presiding officers, Ndume said the case of Saraki and Melaye should not be an exception so as to save the integrity of the Senate. Deputy Senate President Ike Ekweremadu, who presided over that day’s plenary, referred the matter to the Committee on Ethics, Privileges and Public Petitions. While tendering their report on March 29, committee chairman Senator Sam Nwanyanwu said Ndume’s allegations were false. ABU’s Vice Chancellor Prof. Ibrahim Garba had confirmed to the committee that Melaye graduated from ABU while documents tendered by Saraki indicated that the vehicle was purchased by the Senate. Nwanyanwu’s report, which was signed by two-thirds of the committee members, cleared both men of the charges but recommended Ndume’s suspension for a year for “failing to conduct proper investigation before making the allegations.” He was suspended for six months. Ndume had earlier said at the investigative hearings that he did not make the allegations himself but only raised the issues he read in the newspapers because he wanted the Senate to clear its name. Legal technicalities aside, we also believe that punishment of Ndume is not morally justified since all he did was to bring to his colleagues’ attention what was said in the social media and asked for a probe. In fact, senators and the two accused men should be grateful to him for providing the opportunity for them to clear their names. Senators have a reason to think that Ndume was being mischievous, since he was recently sacked as Senate Leader. Still, what he did ultimately served a good purpose for Senate. Last week Borno State Governor Kashim Shettima led a powerful delegation to Senator Bukola Saraki and pleaded with him to lift the suspension. But the Senate President later said at the Presidential Villa that he does not have powers to do so. We therefore urge the Senate as a whole to revisit the issue in the interest of peace and stability in the polity.